Are you one who likes to throw Christmas parties? They can be so fun to host but sometimes the ideas are lacking a bit. 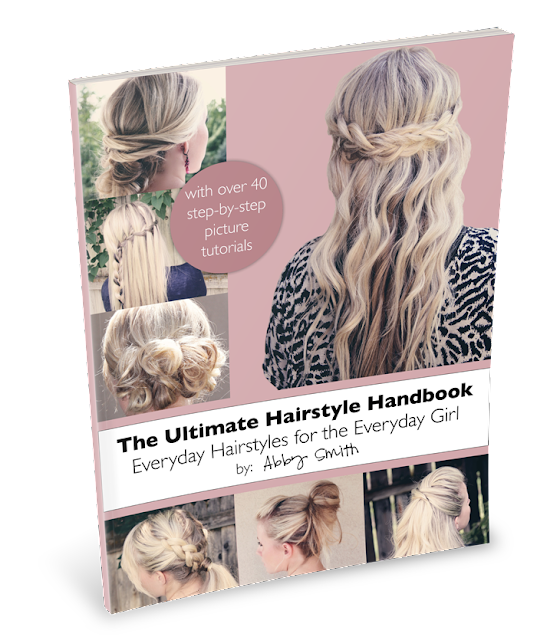 Here are a few ideas to do at your party to make it really fun! You have to admit, there are a lot of REALLY, UGLY sweaters out there for Christmas. Why not have everyone come to your party wearing one? This should be just a chill, let loose kind of party. Have things like "Hi, my name is. . ." name tags; a karaoke machine/contest; ugly decorations or decorate with even more ugly sweaters! Have disposable cameras for people to snap lots of silly pictures of everyone. Make sure you take pictures of everyone there too! It would be fun to have one of the whole group as well. Make sure to share it with everyone after the party too! Play a goofy game like "Name that Tune", "Musical Chairs", or "Charades" that will help everyone loosen up. Before everyone leaves, have an awards show and give prizes for the best/worst sweaters, best pair, loudest, scariest and so forth. You can shop for your ugly sweater at various thrift stores like Goodwill, Deseret Industries, and America's Thrift Store. There are lots of online sites too on google or amazon. Depending on where you live, this can be called either "Dirty Santa" or a "White Elephant Exchange", but they are the same thing. 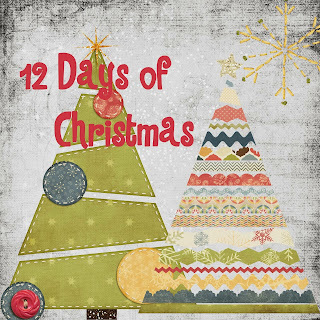 The basic idea is to have everyone bring a present for a little gift exchange. Set your limit to what you feel is a comfortable amount for your guests to spend. (If you have a large budget yourself, you can purchase the gifts yourself). The guests can purchase nice gifts or gag gifts. If you plan on making this an annual thing, you might even opt to get something NO ONE will want but can recirculate each year. (My husbands office did this and had a pair of size 10, Neon Green High Heels that was passed on from year to year. It had been going on for several years and of course my husband got the shoes. He proudly displayed the shoes on his desk during the year he held possession of it. Everyone thought is was so funny!). If you plan on hosting a party where kids are welcome, have a separate game going on for them. The rules of the game are to have everyone pick a number, 1 through however many guests you have. The first person selects a present from the pile and unwraps it. He or she will have to hold onto it since they were the first person, however, each person after that has the option to either pick that present or select from the pile. If someone selects your gift instead of the pile, you get to select another present from the pile or someone else, then continue down the numbers. Keep going like this until the final person gets a present. They are in the best position because they can choose from ANY of the gifts left others have opened or the final one in the pile. Set a number like 2 or 3 times that a gift can be stolen. Once it has reached that number, it stays with that person and can no longer be stolen. This is a really fun game, especially when you do have a few crazy presents in the pile. 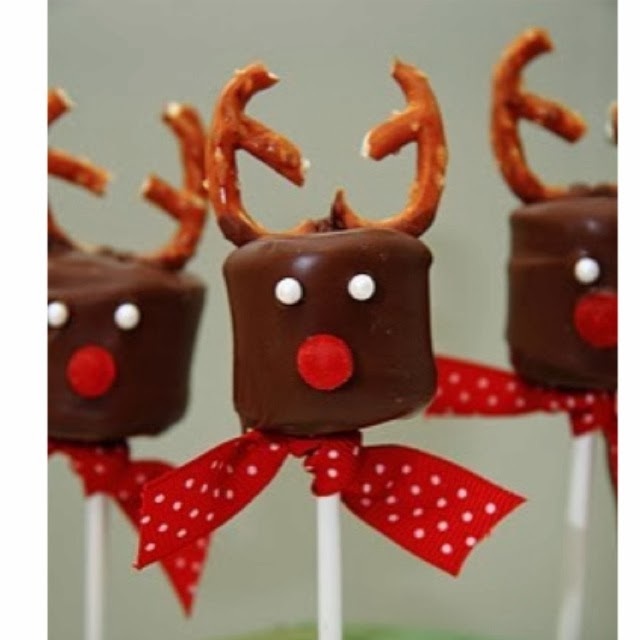 Just some ideas if you don't already have a Christmas Eve tradition in place with family or friends. Whether it is family or friends, you could do the same things with each other. Most of our family has family around and they typically spend the evening together, however half of us sisters have been away from home and our immediate family. For some or most of our married lives so we have had to adopt traditions with our friends. Have everyone come over for an evening of finger food snacks (save the big dinner for the next night!). 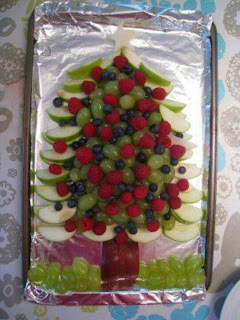 You could really make any of your platters into a tree, star, or Christmas wreath. Layer your cracker or cheese variations, layer different kinds of fruits, just make them a little out of the ordinary! If you have the time and ambition, here are a couple of fun ideas your kids could help you make. *Velveta cheese and a can of rotel- Classic Queso Dip (throw it in the crockpot about an hour before the party and it will be ready to serve). 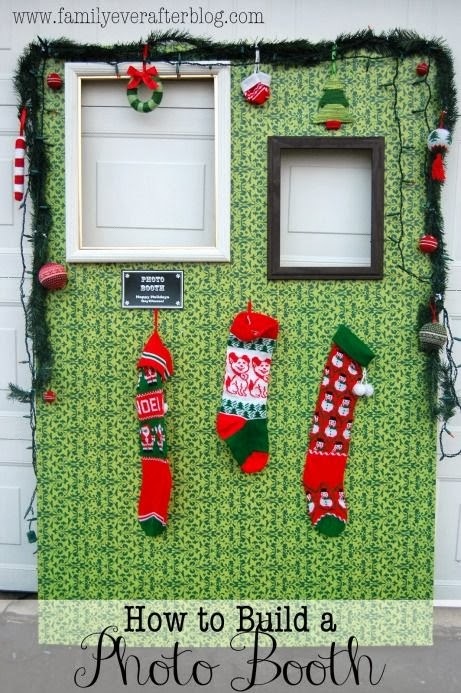 This would be a really fun idea to keep the memory of the night if you are able to get a Santa to come visit that night. If not, you can always just take pictures of the families, couples, and kids who come to your party. My in-laws have a Santa costume and one of the brother-in-laws always makes an appearance Christmas Eve. He will deliver all of the kids a gift, usually a set of pajamas. They all love it and will get to wear their new pajamas that night. 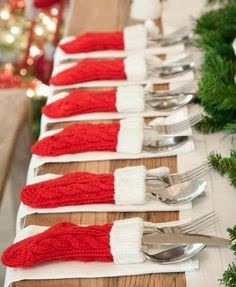 These stocking silverware holders are a super cute idea and would be a cheap investment. 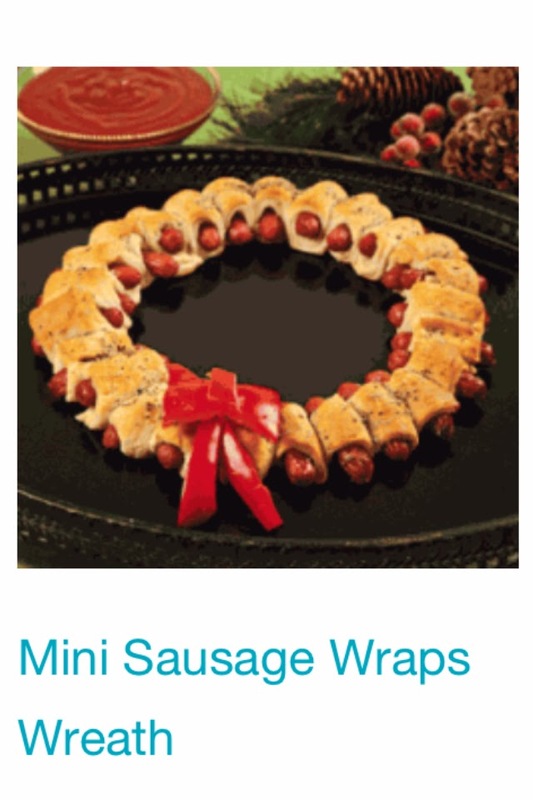 You could have them for your Christmas Eve Party or wait until the Christmas Dinner the next day which might be a little more formal and have fewer guests. The past few years, we have been having a Christmas Story, followed by a Christmas Movie with our kids after the fun of food and presents. 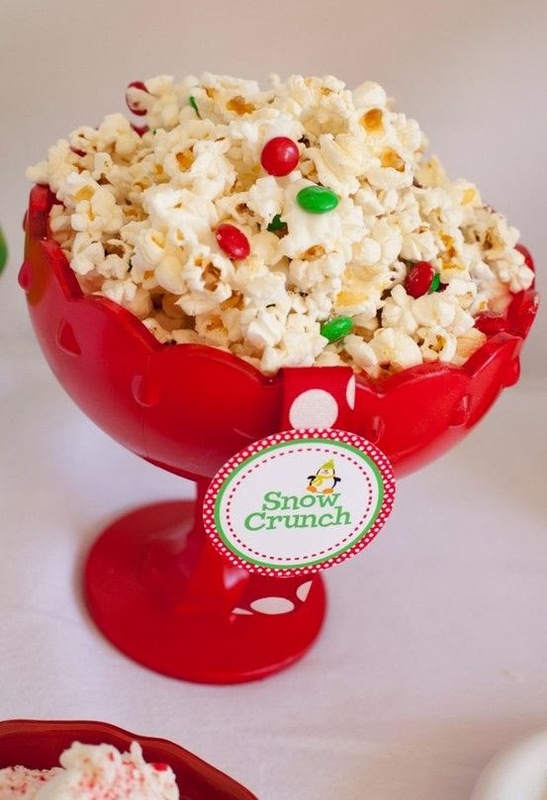 Here is a fun, simple twist on popcorn for the movie. This is Michelle's White Chocolate Popcorn with M&M's and peppermint candy cane bits added. 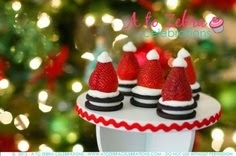 You can also add red and green sprinkles for more festiveness! If you are having families over or having a gift exchange among friends, go ahead and do this Christmas Eve. We have always done a gift exchange with siblings, which turned into our families exchanging with each other as we have gotten married. If you don't want to have each child open a gift (like your pajamas), just do the family exchange and each family can open one gift. It is still fun for the kids and is a fun time to see what all of your siblings (or friends) got for each other! One final suggestion if you have young children. Before everyone starts to leave, get onto "Noradsanta.org" to track Santa's progress. The kids will love to see where Santa is and are more inclined to go straight to bed because they know Santa is close. 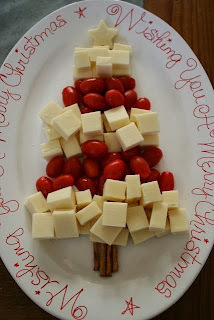 We hope these ideas will help you have a great Christmas party!